It’s been incredible exhibiting at Scope International Art Fair in NY. 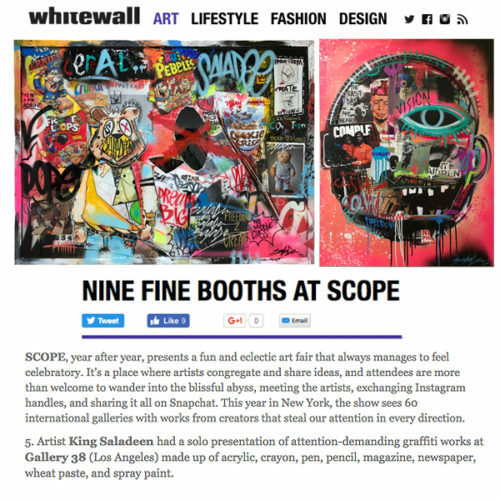 The response from collectors, press and art enthusiasts has been overwhelming and waking up today to being chosen as one of the top nine booths by Whitewall Magazine, was amazing. We will be opened tonight and tomorrow until 8pm and look forward to seeing more of you then.